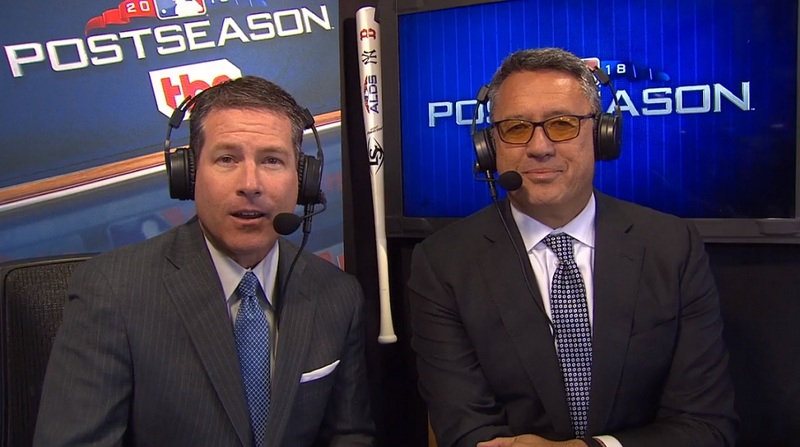 Which MLB Postseason broadcast crew was the best this season, and which was the worst? 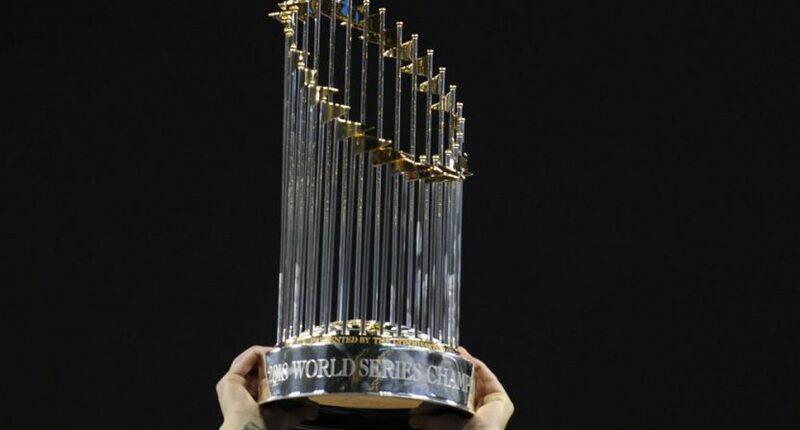 The 2018 MLB Postseason is done and dusted, as is our voting for the top Postseason broadcast teams. The voting was a massive success, with over 13,000 votes being recorded (compared to over 50,000 for the local broadcasters, with more than three times as many teams to vote for and another day of voting) and over 1,300 votes recorded for every team. Overall, the results were about as expected. The worst team would have came out 25th in the local rankings (out of 31), and the best would have ranked #5. The cumulative score for the nine playoff crews came in at a 2.48, which would have put it 13th overall among the local teams, and was higher than the 2.41 cumulative average drawn by the 31 local crews. In case you want a spoiler and don’t want to read this whole damn post, here is the breakdown of voting, with average scores and total votes. Without any further ado, here are your 2018 MLB Postseason announcer rankings. Enjoy. Analysis: No matter how you slice it, this team just did not work in 2018. Only one crew received a lower percentage of A grades, and only one crew received a higher percentage of F grades. Yes, they only called one playoff game, but worked together every week of the regular season. When they debuted seven months ago, we gave them a rough review, and to end the season, they get just as rough of a grade from our readers. 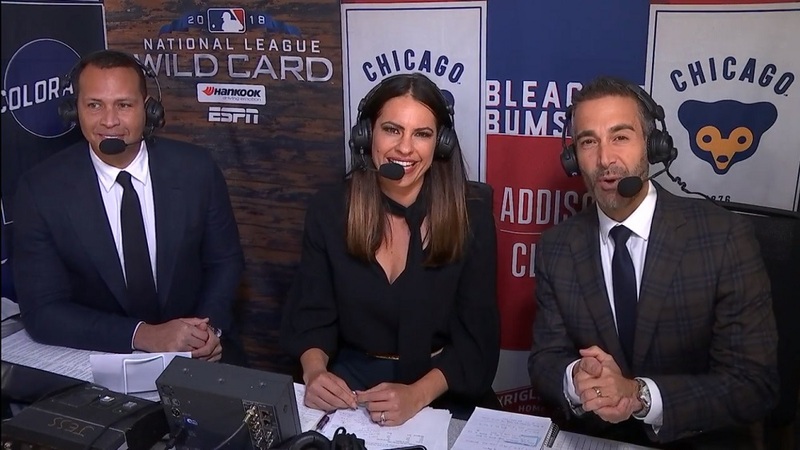 On the bright side for ESPN, the only way for these three to go together is up – if Sunday Night Baseball actually sticks with the same time for back to back seasons. 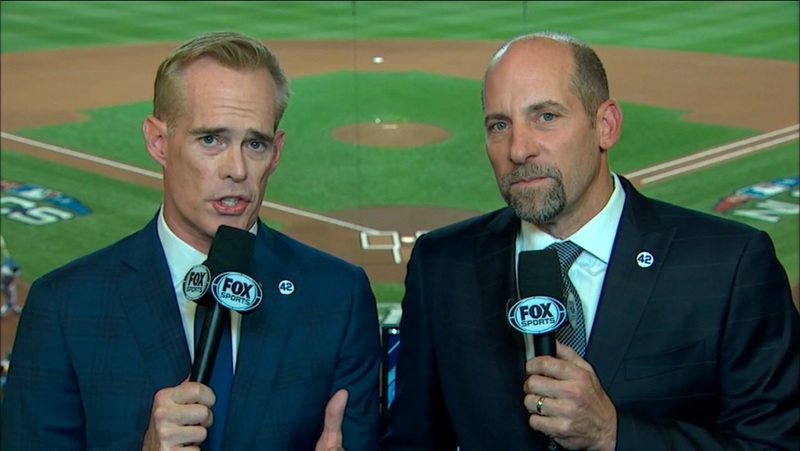 Analysis: The seething hatred that our readers (still) have for Joe Buck comes through in this grade. Despite a huge chunk of A grades, this team also picked up the most F votes and the highest percentage of F votes among any of the broadcast crews in this informal competition. They called the most games together (12) of any team in this Postseason, so it’s not as if fans didn’t have a sense of how this team worked together. Analysis: I think the most popular opinion on Albert, Cone, and Pierzynski is a big shrug. 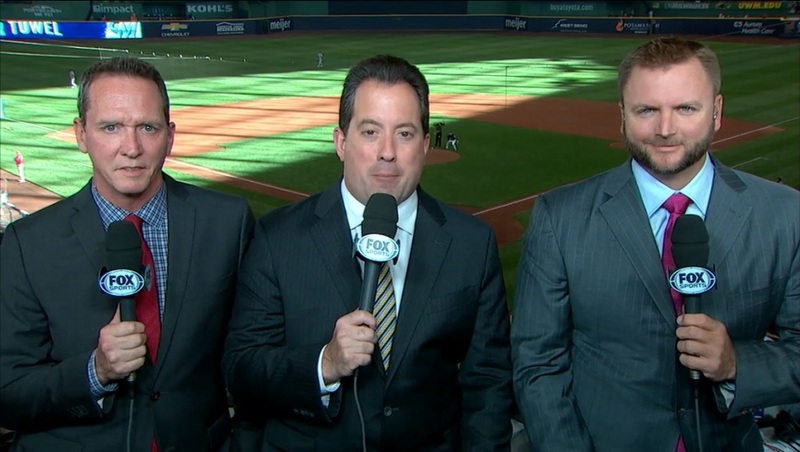 The trio worked together a handful of times over the summer, but Pierzynski, a broadcasting novice, wasn’t working with Albert at all in September – his main broadcasting partner was Don Orsillo, who works for Turner in the playoffs. Cone’s a pro, but also didn’t work with Albert much (though he did work with Pierzynski in September alongside Orsillo). If Fox wants their #2 team to mesh better, maybe have them work together as consistently as they can? They received the lowest number and lowest percentage of A grades, and the lowest percentage of F grades. Talk about a bell curve. 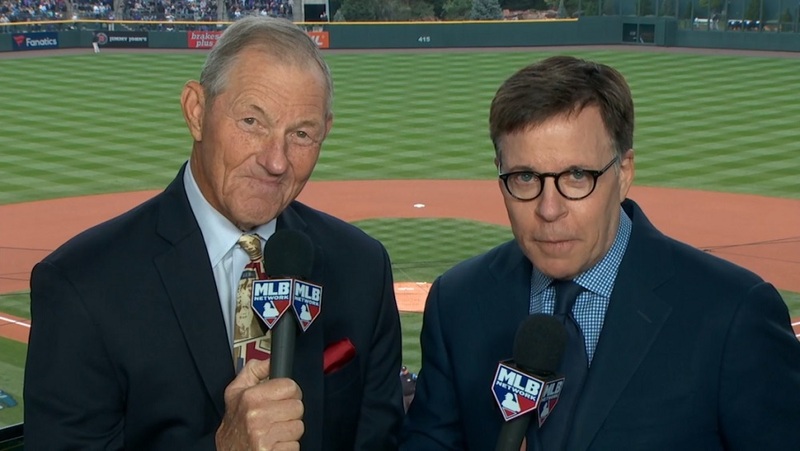 Analysis: Costas and Kaat have worked together on MLB Network for years, but called just one game during the Postseason. Readers seemed to appreciate them, with over half of the votes either being an A or a B. I think the rating would be different had they called more games, as it would for the other three teams in these rankings that called only one game, but there’s nothing we can do about that. Analysis: Huh. 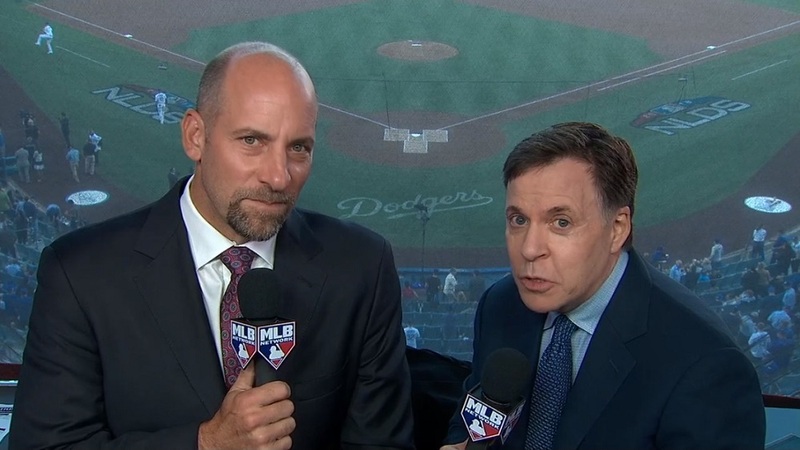 There were plenty of Twitter complaints about Costas and Smoltz during their one game together this Postseason, but that didn’t come through in the voting – their share of A and B grades was higher than even Costas and Kaat’s cut. Analysis: Anderson and Darling picked up the second-most A votes and the second highest share of A grades among any team, and were just behind the #3 team in overall score. They fell short of the top three because of the tail end of their grades – they were the highest ranked team to receive at least 20% D and F grades. I do think that this crew largely did a fine job, despite Darling’s pair of missteps during the ALDS. Analysis: This was Fox’s highest-rated team, and they were done after three NLDS games. Davis ranked the best of Smoltz’s three partners this Postseason, and this crew earned the second-highest percentage of B votes and the most total B votes for any team. Given that they were calling the Dodgers-Braves series, and that cries of “YOUR BIAST! !111” could fly both ways (given Davis’ regular season job and Smoltz’s playing career), this was an impressive result. 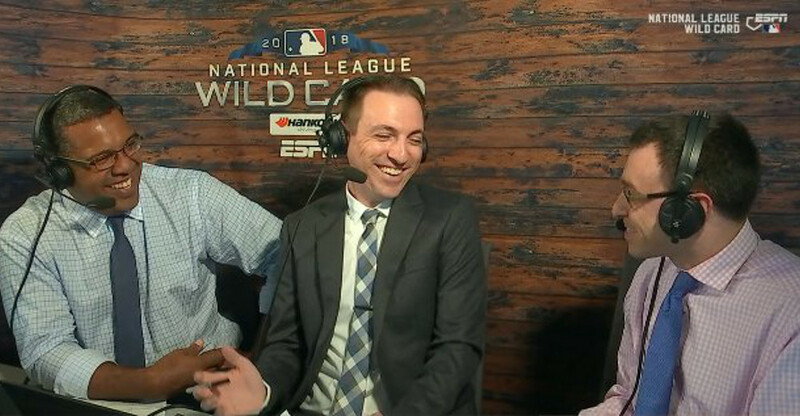 Analysis: Is Don Orsillo the most underrated broadcaster in the game? I think so. 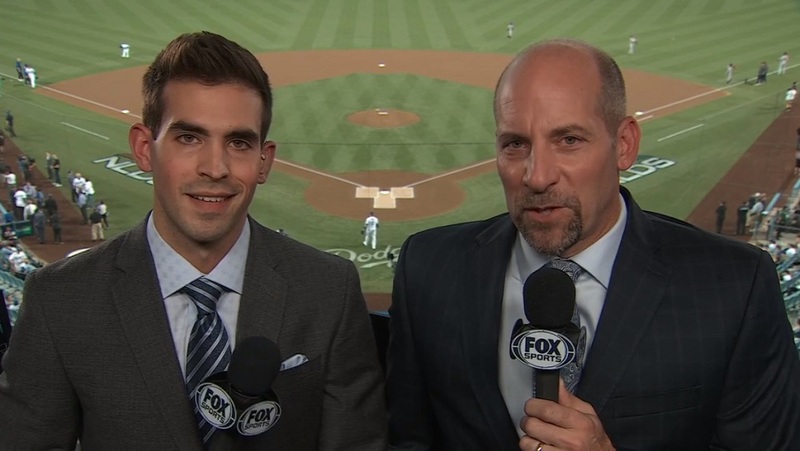 His Padres crew with Mark Grant always grades out well (cracking the top three of our rankings this year), he rarely calls the “premier” national games on Saturdays for Fox, and he’s part of Turner’s #2 MLB Postseason team. 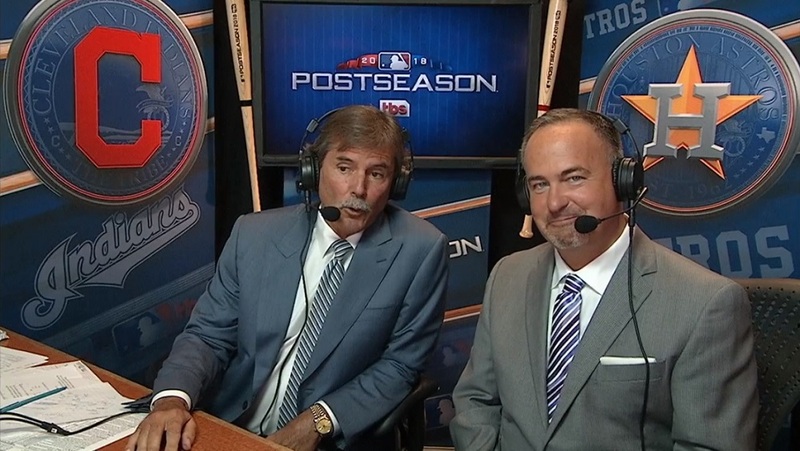 Even though they worked a three game sweep of day games, Orsillo and Dennis Eckersley killed it this Postseason, drawing the joint fewest F votes and the second-lowest percentage of F votes. Analysis: SWERVE! Benetti, Perez, and Petriello’s Postseason on TV was over after the first game of the playoffs. They weren’t even the primary feed for the game on ESPN. Yet, they did a fantastic job and got rave reviews for their performance, so much so that ESPN should consider using them more often as an alternate feed for big MLB games on the network. That probably won’t happen, but my hat goes off to these three for making the most of their opportunity in the spotlight, and instead of denigrating analytics and new ways of thinking about the game, embracing and explaining them in a way that was easy for fans to understand.